Don't forget! This Saturday, St. Patrick's Day, March 17th - from 1-4pm - is the Fairies and Fashion Book Party. 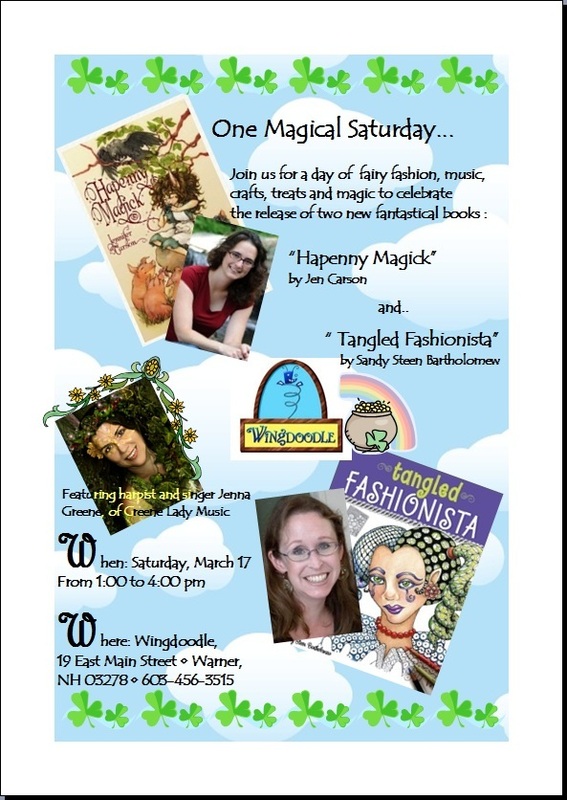 It is going to be such a blast - books, music, projects, a castle cake and other cool yummies, books, and a Zentangle demo/workshop at 1pm. Yes, kids are VERY welcome! !